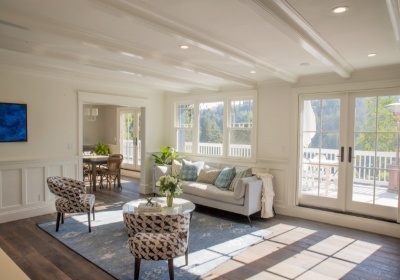 Gorgeous style and maximum comfort in this stunning remodel in a great weather area of Mill Valley. Close to town, restaurants, library, trails. Desirable part of town near parks, golf course, trails and town. Charming 4-bedroom, 2.5 bath home with sun, lawns, decks and patio. Stunning view and a great commute location.